Canine Hoopers UK is run by a committee. Each of the committee members has an equal vote and they make decisions regarding the Rules, Regulations and work hard to maintain the ethos and integrity of the organisation and the sport as a whole. Faye runs Phase Purple agility training club based in Cumbria. Faye has been competing in agility for many years with her own dogs. Faye is area co-ordinator for Northern England. Phase Purple host agility shows throughout the year and have been running some fun Hoopers have-a-go rings alongside their shows and more recently CHUK competitions. Phase Purple currently also offer Hoopers training classes. Faye is an Accredited Canine Hoopers UK Instructor. 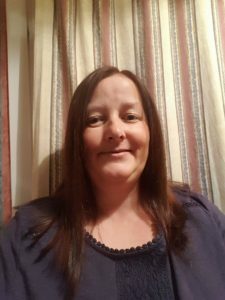 Sarah is based in the East Midlands on the Leics/Lincs/Notts borders and is currently owned by 3 standard size Xoloitzcuintle’s having started competing in hoopers with her rescue girl in 2017. Sarah runs Shh..! Creative Photography and takes fantastic action shots! She can be found around the hoopers and agility rings or around horse shows with her camera. Sarah is an Accredited Canine Hoopers UK Instructor and having left training in a corporate environment behind, she now runs hoopers workshops all around the UK as Mayday Training and enjoys using her outside voice to good effect! With her experience and qualifications in Training & Development, Coaching, Learning & Performance Consultancy, Train the Trainer and L&D Management, Sarah has helped us to shape and deliver our Accredited Instructors programme throughout the UK as both a trainer and assessor and her passion for the sport is evident in her teaching. Elizabeth is based in Scotland and is our Scottish area coordinator. Elizabeth competes in agility with her westie and enjoys training in this as well as hoopers of course! 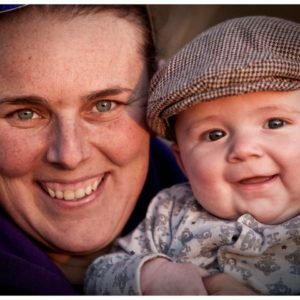 Elizabeth is an active part of the hoopers scene in Scotland organising and participating in many training events, taster sessions and workshops. 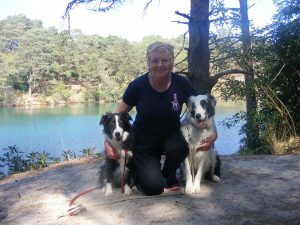 Carol is the senior volunteer trainer at Purbeck Agility Group(PAG) in Dorset. She got involved with training when she got her first dog in the early 1980s.Carol joined PAG in 2010 when she adopted her collie x pup, Sukie. After achieving Gold in the Kennel Club’s Good Citizen Dog Scheme, she became interested in Heelwork to Music and joined the PAG training team in 2011, running HTM classes and putting on displays at local events. She regularly attends and runs agility classes with Sukie, but has only done a few competitions. Carol runs obedience, agility, agility foundation and, more recently, hoopers classes for PAG. She is an Adv. Accredited Canine Hoopers UK Instructor and is proud to be able to say her class members were some of the first to gain their Good Hoopers Awards in Dorset. Carol and her team frequently run Hoopers Taster sessions at local events. Carol is a retired professional copywriter and brings a wealth of business and marketing knowledge to the committee. Hayley is based in Coventry in the West Midlands and runs Taming Canines, a dog training club based in Rugby. Working full time in a reputable rescue centre learning about canine behaviour before qualifying to be a dog training instructor with BIPDT, Hayley set up classes for agility and obedience in 2011 and now also offers Hoopers classes. Hayley has been a driving force behind bringing Hoopers to the UK and has been successfully teaching and running Hoopers/NADAC style competitions since 2014. Hayley competes in agility with a range of different breeds currently spanning grades 3 to 7 at the Kennel Club, most commonly seen competing with distance handling with her Kelpies and her Husky. 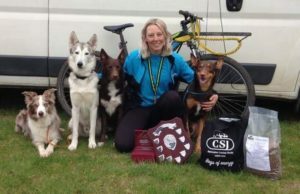 When not training or competing in agility, Hayley spends her time competing in Bikejor and Canicross and doing other dog related activities such as K9SUP, heelwork to music freestyle, dog walking, running the British Agility Association and working with dogs with behavioural issues. Hayley does a lot of 1-2-1 training specifically aimed at problem solving for handlers and their dogs. Hayley only teaches using positive methods that involve games and free shaping. Hayley has applied her many years sports training experience along with her professional training qualifications to develop and deliver our Accredited Instructor Programme throughout the UK, her passion for developing trainers and sports dogs is evident.